View the entire table of contents for the July 31, 2010 issue. In 1982, Helen Turley and John Wetlaufer were in the early stages of their careers in the wine business. They had both worked in Napa Valley, but were still uncertain about their future. They wanted to do something together that was intellectually challenging. Then they tasted a wine that changed their lives. 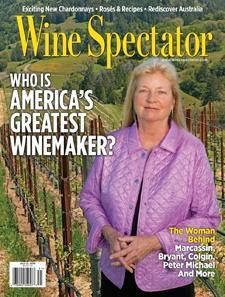 For the full article, check out the new issue of Wine Spectator, on newsstands June 29, 2010.